MAACCE’s mission is to provide an annual conference and other professional development for about 350 teachers and other staff who serve Maryland adults learning to read or basic skills, learning English or working on their high school diplomas. 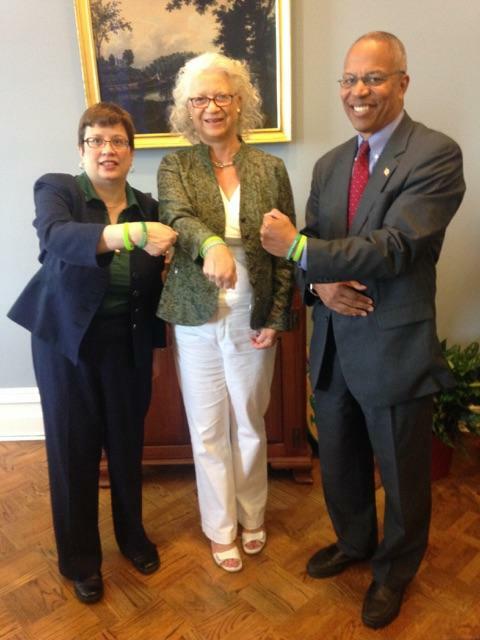 We also advocate with state and federal leaders for funding for adult literacy programs. Our conference starts in two days, and along with about 60 workshops, we have guest speakers and lots of fun and good food. The MAACCE board is all volunteer with one part-time coordinator, and we work hard all year planning this conference. Why do I serve on this board? I enjoying serving the hard-working teachers who work with adult learners throughout the state. Maryland has around 500,000 adults who lack a high school diploma, which keeps them from accessing many jobs and most job training programs. As a teacher, myself, I have met many adult learners, who inspire me with their drive to make better lives for themselves and their families. Both the adult students and the teachers are my heroes. Next week, I will be in Orlando, Florida, for the Coalition for Adult Basic Education (COABE) national conference. This is an annual great gathering of adult educational professionals. 1. 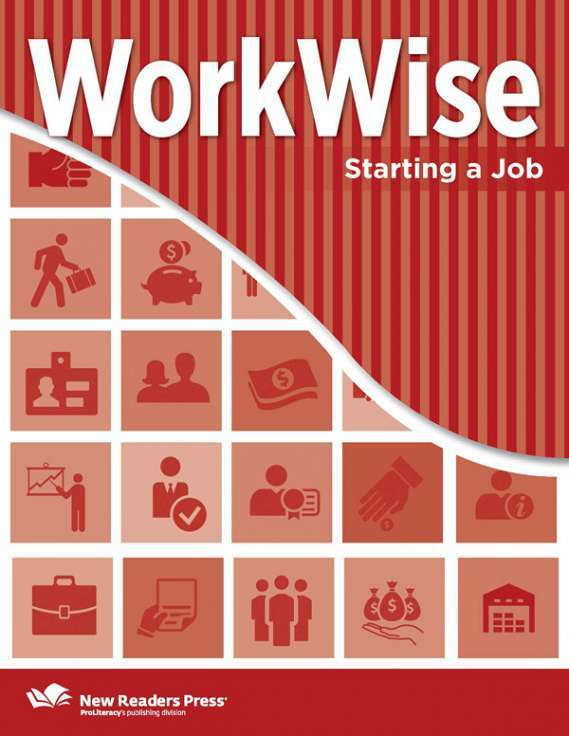 Preparing Yourselves and Your Adult Students for Success in WIOA: Teaching Career Building Best Practices with WorkWise. Monday, April 3 at 9:30 a.m. 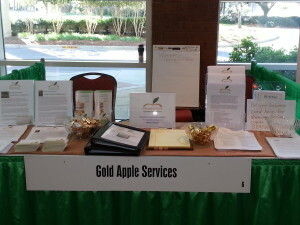 Please check the Gold Apple Services Facebook page for photos and updates from COABE! Recently, I wrote a guest blog for the Center for Plain Language in Washington DC. For the last couple years, I have done plain language work for a number of Baltimore organizations and became a listed consultant on the Center for Plain Language website. 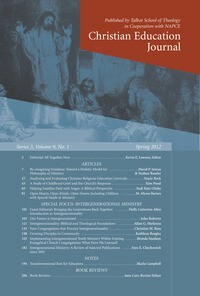 I have been meaning to share this book review I did for the Christian Education Journal. It was published this fall. Educational equity is an issue I am passionate about, both for children and adults, and Dr. Fulgham’s challenge is important reading! Educating all God’s children: What Christians can—and should—do to improve public education for low-income kids. By Nicole Baker Fulgham. Grand Rapids, MI: Brazos Press. 2013. 235 pp. $18.00. paper. Review by Cynthia Macleay Campbell, Principal Consultant, Gold Apple Services; Former Literacy Services Director, Baltimore Reads, Inc. In this book, Nicole Baker Fulgham makes a case that “Christians have a collective responsibility to ensure that children from low-income communities have the same opportunities for educational success that wealthier children experience” (19). In chapter 1, the author describes the educational disparity in America using examples from her own upbringing in Detroit, Michigan, and her teaching experience in Compton, California. In Detroit, she attended a prestigious, selective public school while her best friend went to the local high school. The differences became clear one day when the author mentioned concerns about her SAT scores, to which the friend replied, “What is an SAT?” (10). Later, while teaching in an urban school in Comp- ton, she told her students that they were smart. One student countered, “Aw c’mon Ms. Baker, nobody thinks we’re smart. If they did, they wouldn’t give us this broken-down school and these ratty old books” (12). Along with these personal examples, Dr. Fulgham cites some staggering figures including four- year high school graduation rates: 83% for Asian American, 78% for Whites, but 57% for African Americans and Latino/Hispanic students (15). Further- more, the average skills of a person graduating from a low-income public high school only equal those of an eighth grader from a wealthier area public school (16). Chapter 2 explores the challenges facing public schools in low-income areas including the effects of poverty; hunger and malnutrition; and lack of access to early childhood education, quality health care, and supplemental resources such as tutoring. The author also gives an overview of the historic challenges faced by African Americans, Native Americans, and Hispanics in accessing quality public education including segregation and lack of re- sources to meet language needs. Dr. Fulgham also addresses the difficulties that low-income parents have in being actively involved in their children’s education, such as working hourly wage jobs and multiple jobs that do not allow them much free time. The author relates how as a teacher she had to adjust her approach to parent/teacher conferences for parents who could not afford to take time off from hourly jobs. Instead of the traditional daytime in- person meetings, she held evening and phone appointments to connect with the parents (38–39). However, despite these challenges, chapter 3 expresses hope. The author contends that low-income children can succeed academically when given enough support. This support includes strategic teaching with the objective of achievement in mind along with supplemental tutoring. She cites her own experiences of working hard to help her students move from having below grade-level skills to meeting or exceeding grade-level standards by the end of the school year. Chapter 4 discusses how public schools have mostly encountered indifference or political agendas in their interaction with churches. The author contrasts this current state with the history of William Wilberforce and Robert Raikes, who worked to educate low-income children; the Protestant Christian influence on early public education; and the Roman Catholics and Lutherans who established urban schools. Chapter 5 lays out a biblical framework for Christians to commit to educating low-income children: “1. God’s concern for children, 2. God’s focus on the poor and disenfranchised, and 3. God’s heart for justice” (95). Scripture passages referenced include Matthew 18:2–7, Deuteronomy 15, John 4:1–42, and others. Chapter 6 relates accounts of some Christians who teach in low- income public schools out of their Christ-centered convictions. Chapter 7 begins the section on what Christians can do to help. The author suggests three general categories: “be a vision caster, become a laborer, and provide faith-based advocacy” (130). Being a vision caster means get- ting the message out that low-income public school students are behind academically but that these students can achieve, and we should ask ourselves as Christians how we can help (135). Clergy can also teach and preach about these concepts: “Jesus as the ultimate teacher,” “education and justice,” “vocation in every sector,” and “a call to serve” (138). Chapter 8 explores how Christians can be laborers in the field. 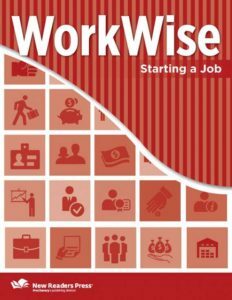 The author writes about how people can become teachers, assist with the training and support of teachers, help start and maintain charter schools, and engage in church-school partner- ships. Key in building church-school partnerships is spending time listening to principals and teachers about what they need to help students succeed rather than arriving with an agenda. Chapter 9 discusses the rationale and ways for Christians to be involved in education policy advocacy such as teacher evaluation and support, parent awareness and engagement, increasing access to early childhood education, expanding school options for children, and revisiting school funding formulas. She also mentions her own organization, the Expectations Project, which works at engaging churches in educational reform. Chapter 10 reminds readers that children in low-income neighborhoods often have no options but their local public schools, and these children need help in not being left behind academically and economically. The appendix lists helpful resources to explore further how to support academic achievement in low-income public schools. With her training and experience, this author brings a thorough understanding of the myriad challenges facing low-income public schools, especially in the urban areas, along with a Christ-based commitment to being part of the solution. She describes how the educational divide is a multi-faceted problem, but also how students from low-income backgrounds are capable of achieving academically and are worth the investment. Furthermore, Dr. Fulgham understands what works and is willing to take political risks by ex- pressing potentially divisive solutions such as school choice and results-based teacher evaluation. However, these ideas are also augmented by her writing about the importance of teacher preparation and continuing support as they work in the schools. In this book, Dr. Fulgham issues a clarion call to the church to address the educational needs of our nation as part of our call to care about children. This book delivers an important message: low-income children across this county can succeed, and as Christians we should endeavor to see that their potential not be wasted. Furthermore, the author reminds us how Christians have been involved in education and provides some practical applications for churches and individual Christians to consider. Finally, Dr. Fulgham notes that there are 322,000 churches and 44,500 high poverty schools, which indicates the potential for impact if churches respond to this call (160). While this book presents an important message for Christians to hear, the argument in the book could have been made more compelling for evangelicals. While the author does engage Scripture, the treatment is not very deep exegetically and tends to rely on The Message as the Bible version. While The Message has much to recommend it, using a Bible translation rather than a paraphrase and providing more exposition would have strengthened the author’s case. Furthermore, while the author touches on the history of Christians’ involvement in education, bringing in missions history would also have brought in more examples to which evangelicals could relate. The history of missions has many examples of people being reached for Christ through the provision of a strong academic education. One question that evangelicals may have with her approach is her emphasis on the fact that a church and school partnership cannot be a platform for proselytization (166). While there are good reasons for this concern, what the author does not address is how this partnership is meant to support the work of the Great Commission. Evangelicals may conclude that this effort is merely social gospel and disengage from this call. It would have helped to explore more deeply how this work can go beyond the social justice aspect and also dovetail into evangelistic work of the church. Along with supporting the school itself, churches can also reach low-income children with afterschool programs where children can receive supplemental tutoring, help with home- work and meals, and teaching on the gospel. With youth, the church might also sponsor programs like Young Life. Along with helping parents know about how to support their children in school, churches can provide adult literacy classes and tutoring in settings with freedom to present the gospel or give invitations to Alpha programs. Finally, there are two supplemental notes to make about the coverage of the educational inequality issue in this country. First, while the author tends to emphasize the problem from the urban standpoint, one must remember that educational challenges affect rural areas as well. Those ministering in rural areas should consider best ways to support their schools. Second, contributing to the educational divide is the still existing digital divide where one out of five people in the United States cannot access or use the Internet, which hits particularly hard in both rural and urban areas (www.proliteracy. org/the-crisis/the-us-crisis). With digital literacy becoming increasingly important for accessing jobs and education, this part of the educational divide needs attention also. In conclusion, while this book does not provide a particularly deep theological coverage of the issue, nonetheless it issues a call that Christians should take seriously. Dr. Fulgham’s book is a worthwhile, important read for children’s ministers, Christian educators, professors of Christian education, faculty of education in Christian colleges and universities, and pastors serving high poverty areas. Historically, education has been part of the mission of the church. Exploring how to engage in that mission today is always worth doing. At COABE 2015, many adult literacy educators were talking about the potential of smartphones as educational tools for adult learners. With more adult learners owning smartphones and using them as their primary way of accessing the Internet, using smartphones effectively with adult learners is becoming a must. 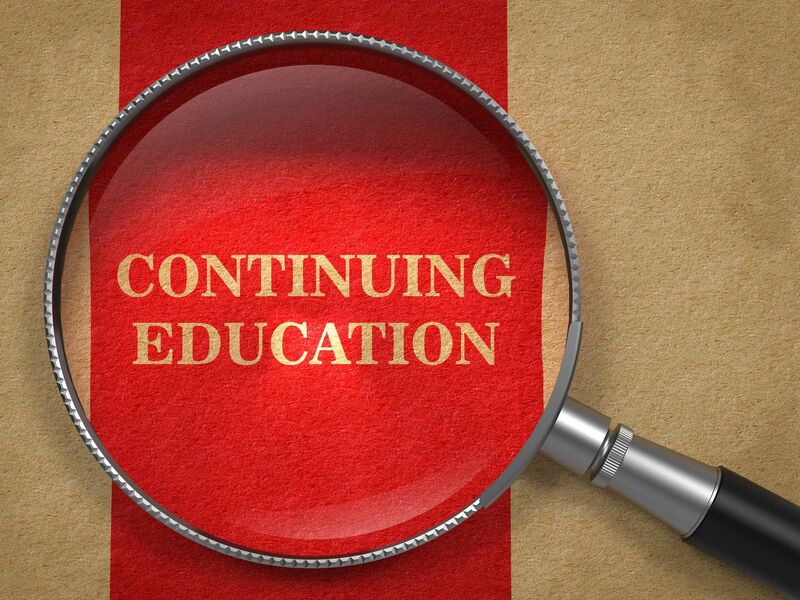 Adult learners can receive information from their adult learning centers, learn new concepts, and practice their skills while waiting in lines or going about their daily routines. At Gold Apple Services, we are please to announce our availability to support Adult Literacy XPRIZE Completion Teams. See our capacities page here and see what we can offer! The new adult literacy smartphone apps have a great potential for enhancing the work of adult literacy educators across the U.S. and internationally. Good luck to all the teams and thank you for working on this challenge! Sonia Socha and I attended the national ProLiteracy Conference in South Carolina in mid-October and met a lot of great people coming by our booth. ProLiteracy is the leading organization in the United States promoting the teaching of beginning and basic literacy to adults. On October 14, we heard Ruth Colvin, the grandmother of the field. She is 98, and she shared that she is still learning. What a refreshing attitude. We also saw a video of the late Dr. Bob Laubach, who shared about his journey in adult literacy education and reminded us all to “keep smiling.” In honor of him and to encourage us all to keep smiling, ProLiteracy gave us all happy face pins. If you would like to see and hear their latest awareness video and Dr. Bob Laubach, check their YouTube channel https://www.youtube.com/user/ProLiteracyMedia. Sonia and I really enjoyed meeting nearly 500 people across the country who are so committed to adult literacy education. Thank you all. You are our heroes! 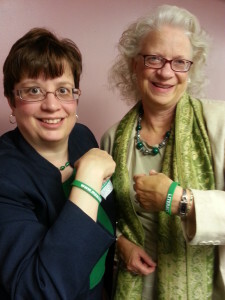 Sonia Socha and I are just finishing up an intense couple weeks working on the Maryland Association for Adult, Community and Continuing Education (MAACCE) with their GO GREEN for Adult Literacy campaign for National Adult Education and Family Literacy Week. This has been a labor of love for us as we both serve on the MAACCE Board, where Sonia serves as the Chair of the Advocacy and Communication Committee, and I serve as Co-Chair. 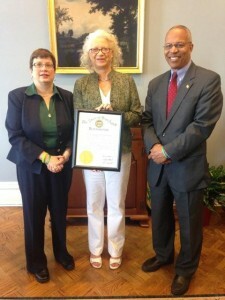 For the GO GREEN campaign, Sonia provided most of the strategic guidance, coordinated with the publicist, crafted the overall message, organized visits with congressional leaders and state leaders, and arranged for the proclamation from Maryland Governor Larry Hogan declaring this September 21-26 to be Adult Education and Family Literacy Week for the state. We were fortunate enough to be able to meet with Lt. Governor Boyd Rutherford for the presentation of the proclamation. For my part, I designed the mini–kits for MAACCE members to use in their awareness work, created the mini-cards to accompany our MAACCE Green literacy wristbands, and managed the social media aspects of this campaign. Check out the MAACCE Facebook Page or their Twitter Feed. Sonia and I were both gratified to see how engaged the MAACCE members were in this campaign, sending in photo from across the state of adult education learners, teachers, staff, and other adult literacy supporters. We went through all this effort because of our shared passion for adult literacy. Sonia and I both trained as educators, but like most people in the adult literacy field came to it sideways. For my part, it started when I volunteered for a local literacy program, not really dreaming it would be a whole new direction in my career. 1. The Learners: I am constantly in awe of the courage and persistence that adult learners have. It takes incredible courage to seek out education, whether for basic reading skills or to finally complete a high school diploma. I have seen students persist in their goals despite family responsibilities, working multiple jobs, and learning differences. These learners are truly my heroes. 2. The Teachers: Teachers in this field tend to do this for love. In Maryland 89% of the teachers are part-time. Usually, they are contractors making less than $30 per hour. All of these teachers have at least a Bachelors degree; many have Masters and Doctorates. They lack the support that the K-12 system usually give their teachers in terms of professional development, curricular resources, and supplies. Yet, they keep doing incredible work in supporting learners in reaching their goals. For a blog post from the U.S. Department of Education Office of Career, Technical, and Adult Education about professional development for adult basic skills teachers, please click here. In short, at Gold Apple Services, we care deeply about education for adults who were educationally under-served, and their teachers, and our aim is to help them have the excellence in support they deserve and need. Our services include consulting for nonprofit programs who want to start such a program or take their program to the next leavel of excellence. We also provide professional development for teachers in adult education, with an eye to developing the whole teacher. 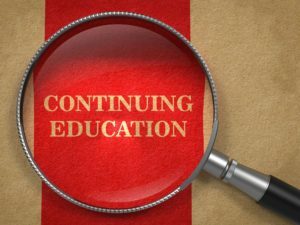 Finally, for your further reading pleasure: Here is a link to MAACCE’s president Heather Ritchie’s blog about advocating for adult learners. What is Gold Apple Services up to these days? In the last several years as Principal Consultant of Gold Apple Services, I have had the wonderful opportunity to be involved with several interesting, important projects. My more recent work has included working with Family League of Baltimore by managing the Maryland Literacy Hotline and reviewing materials for readability by low literacy adults, editing for Community Sciences, writing for Professional and Scientific Associates, and performing qualitative analysis for an adult education research project. Lately, Gold Apple Services is expanding into consulting for nonprofit organizations who want to establish an education program or take that program to the next level of excellence. In this effort, my colleague, Sonia Socha, has agreed to be an Associate Consultant with Gold Apple Services. Sonia has a wealth of expertise and experience in the adult education and workforce field. You can read more about her at her LinkedIn site www.linkedin.com/pub/sonia-socha/28/383/b3 or under About Us on the Gold Apple Services website. Our current project has been pulling together an awareness campaign for the Maryland Association for Adult, Community and Continuing Education (MAACCE) called GO GREEN for Adult Literacy for the National Adult Education and Family Literacy Week (September 21-25). So far, GO GREEN has involved coordinating various adult education programs in their GO GREEN efforts with wristbands, mini-toolkits with sample letter to the editors and social media posts, and more! Meanwhile, here is a photo of Sonia and me in GREEN for Adult and Family Literacy Awareness.